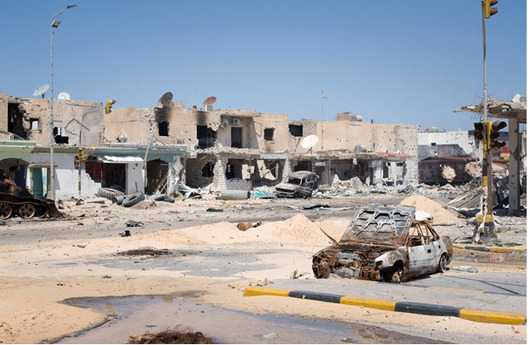 Above, a recent picture of the Libyan town of Misurata by the Telegraph's Geoff Pough. Below, a video of the town shot during Ramadan 2010, by YouTube user HoneyBees1885. Brings it home. More about the destruction of Misurata at the NYT. And the song is great — the YouTube comments say it's by Reda Aqraf (رضا أقراف). Via Andy Carvin and LibyaInMe on Twitter.